From the coast of Puerto Vallarta to the pristine sands of Riviera Maya to the vibrant nightlife of Los Cabos, Velas Resorts will immerse you in a prestigious world of luxurious accommodations, world-class spas, gourmet restaurants and exciting activities. Delta Vacations gives you more ways to rack up miles, and earn toward your Medallion® Status. SkyMiles® Members earn 1,500 bonus miles per person, in addition to credited flight miles, with a flight and Velas Resorts package. *Sample Pricing: This offer is available from hundreds of origin cities, but this price, which reflects the offer, is based on travel between Atlanta and Cancun, staying at Grand Velas Riviera Maya in Riviera Maya. Price is per person, based on double occupancy and select Sunday departures and Thursday returns, July 14 – 18, 2019, and is subject to change. Additional restrictions and baggage charges may apply. See Terms and Conditions for details. Located in Mexico's most spectacular beach destinations, each Grand Velas Resort has received the AAA Five Diamond Award, and features the brand's revolutionary interpretation of all-inclusive hospitality. With stunning architecture and interiors that celebrate the natural surroundings, Grand Velas continues to innovate, providing guests with creative new services and amenities every year. Avant-garde cuisine, tequila and mezcal pairings, oceanfront yoga and spa workshops are just a few features to look forward to. Come and revel in the spirit of Mexico at our ultra-lux properties. Intimate and serene, Casa Velas Hotel Boutique is an exclusive, adults-only resort on Mexico's Pacific Riviera. Regal palms create an oasis encompassing an oversized swimming pool and plush cabanas. Dining is a highlight, with the casually elegant Emiliano restaurant, the private Ocean Club — famous for enjoying the Mexico-Pacific sunsets in all their glory, and three specialty restaurants at the nearby Five Diamond-rated sister resort, Grand Velas Riviera Nayarit. Velas Vallarta boasts a 10-acre beachfront location with views of the Sierra Madre in the distance. The resort is also just a few steps away from an 18-hole championship golf course. The center of activity is a lush, tropical, garden courtyard with three sparkling swimming pools, a cascading waterfall, swim-up bar and even a resident iguana. There are numerous exciting activities for day and night: water sports, tennis on lighted courts, spa, fitness center, yoga and kids club. *Price is per person, based on double occupancy at Grand Velas Riviera Maya in Riviera Maya, between Atlanta and Cancun. Sunday departures and Thursday returns via nonstop service on Delta and certain Delta codeshare partners, and is valid for specific travel dates July 14 – 18, 2019. Advance purchase requirements vary. Other travel days and dates and accommodations are available at other prices. May require travel on specific flights or times; blackout dates may apply. 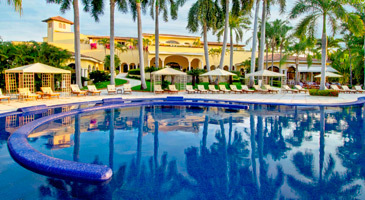 Purchase any Delta Vacations flight and Velas Resorts package from any Delta Vacations origin in the U.S. or Canada to Mexico, April 1 – May 6, 2019, for travel April 1 – December 18, 2019. At time of reservation, you must refer to promotional code GRAND2019, CASA2019, PVR2019A or PVR2019B. Participating hotels include: Mexico: Los Cabos — Grand Velas Los Cabos; Puerto Vallarta — Casa Velas Hotel Boutique and Velas Vallarta Suite Resort; Riviera Maya — Grand Velas Riviera Maya; Riviera Nayarit — Grand Velas Riviera Nayarit. 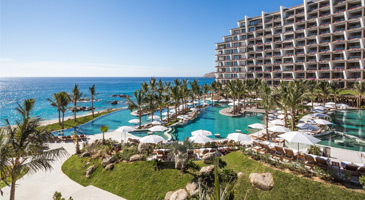 Discount is $300 per eligible flight and Grand Velas Los Cabos, Grand Velas Riviera Maya or Grand Velas Riviera Nayarit package of four nights or longer with promo code GRAND2019. Discount is $150 per eligible flight and Casa Velas Hotel Boutique package of four nights or longer with promo code CASA2019. 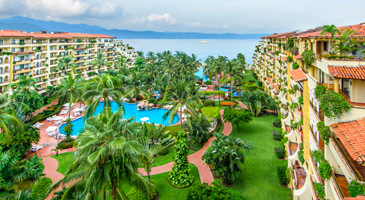 Discount is $100 per eligible flight and Velas Vallarta Suite Resort package of four nights with promo code PVR2019A or $150 per eligible flight and Velas Vallarta Suite Resort package of five nights or longer with promo code PVR2019B. Enter promotional code GRAND2019, CASA2019, PVR2019A or PVR2019B in the Promo Code/eCertificate box on the Booking page.